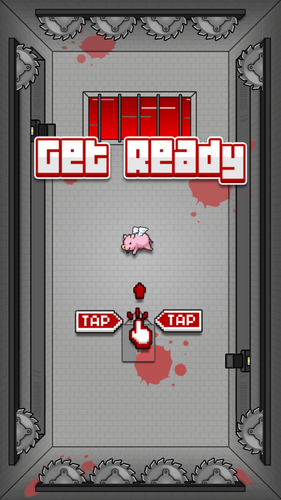 Pig Grinder takes your poor little pig into a world of pain as you try to avoid the deadly blades surrounding your very existence! 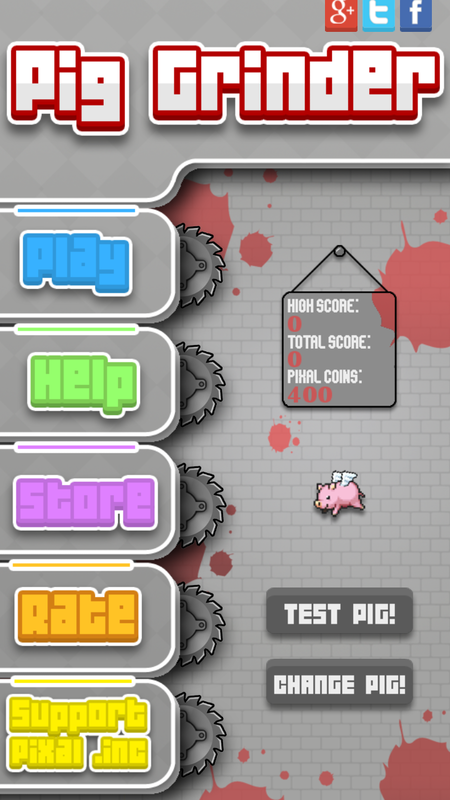 The simple, one tap controls get you straight into the pits of the Grinder as you keep your pig well away from the savage blades! 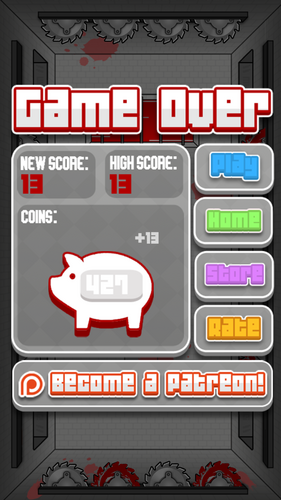 There are loads of unique pigs to unlock and submit to the unearthly Grinder! So... what are you waiting for?? Get Grinding! ★ No advertisements! That's right... NONE! ★ No in-app purchases, hidden bills etc. Completely free! ★ Updated every month with heaps of new content! ★ A great, addictive experience to play casually! ★ Visually amazing! 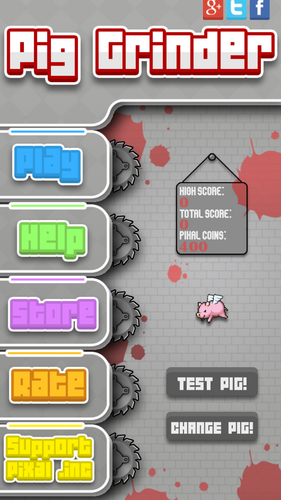 Every part of Pig Grinder has been hand crafted!